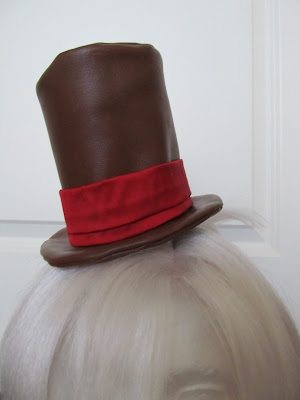 This brown vinyl hat was my first attempt. I added a red silk sash so it could go with my Steampunk Supergirl costume. Then I decided not to use it because it's brown. This is my latest attempt, a much shorter hat. 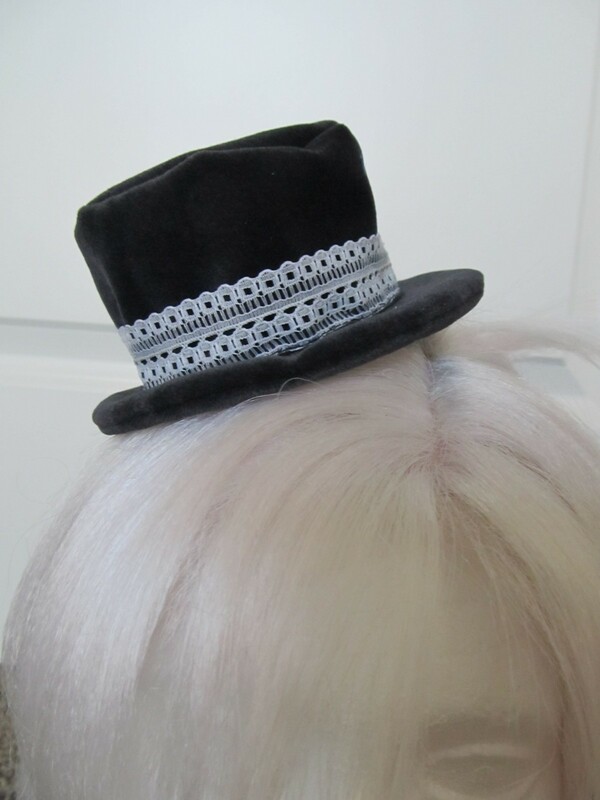 It's still not as sharp as I would like but I think the charcoal velvet with the white lace is pretty. The hardest part about making these hats is figuring out how to make them stay on your head!